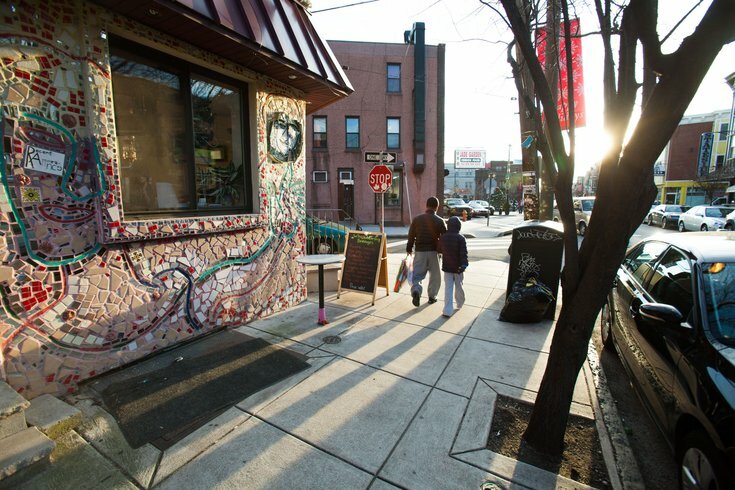 The late afternoon sun hits the mosaic on the side of Black N Brew Coffee on Passyunk Avenue in South Philadelphia. East Passyunk Avenue is gearing up for a very special Saturday, Oct. 10. Art Official will host the first Music & Arts Festival featuring local artists from 11 a.m. to 9 p.m. at Mifflin Triangle. Ten live bands, musicians and DJs will perform throughout the day, including Elissa Janelle, Lauren Scott, DJ John Gerhard, Nate Antar and Chalk and the Beige Americans. Vendors will be available for shopping, and live graffiti artists will also perform. As the event will be held on the second Saturday of the month, the East Passyunk Antique & Vintage Flea Market and Sidewalk Sale will also take place. The Market will be open from 8 a.m. to 4 p.m. while the Sidewalk Sale will be open between 11 a.m. and 4 p.m.